UK manufacturer, Digital Yacht, has won the electronics category of 2011 DAME Award at METS (Marine Equipment Trade Show). The prize was awarded at this morning’s breakfast briefing. The product that impressed the panel of 10 judges the most was iAIS, which wirelessly links a boat’s navigation data to the Apple iPhone, iPad or iTouch. “I’m delighted to accept the DAME award for best marine electronics. The standard among the competition is high, so this is a great achievement. It’s the icing on the cake for us after recently picking up the 2011 NMEA Technology Award only a few weeks ago. The DAME award will help to cement Digital Yacht’s future as a forward thinking manufacturer that is here to stay,” said CEO, Nick Heyes. Over 130 products were entered for the Design Awards. This was narrowed down to 43 finalists and spread across eight categories. 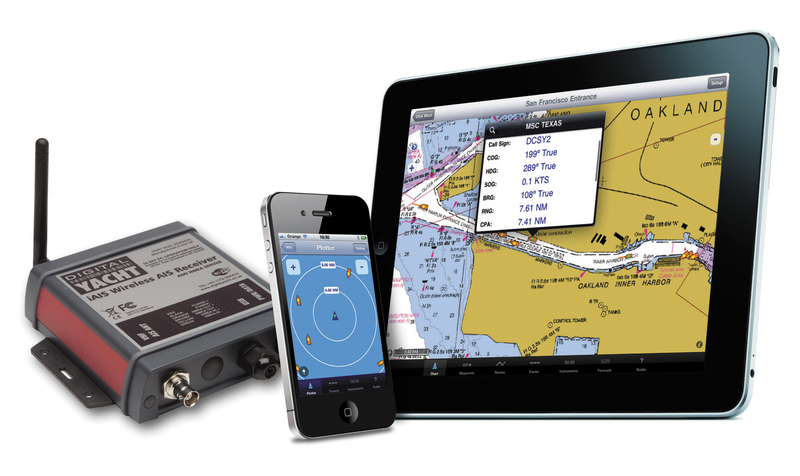 iAIS, wirelessly links a boat’s navigation data to the Apple iPhone, iPad or iTouch. It also incorporates a highly sophisticated, dual channel Automatic Identification System (AIS) receiver allowing compatible “apps” access to NMEA instrument, GPS and AIS data. iPad and iPhone users simply turn on their device to wirelessly connect to the iAIS hot spot. No connection to the internet is needed and there are no cumbersome cables to connect. The AIS data (which brings information such as position, name, call sign, MMSI number, course and speed of other ships) then becomes available for any compatible application. iAIS also multiplexes any other NMEA data that is available on board the boat – for instance GPS, depth, speed and wind. All of this information is combined with the AIS data into the wireless feed.